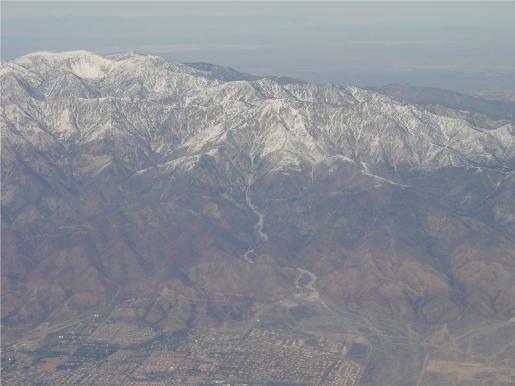 Blue Ridge, Angeles Forest, CA - Altitude: 8,565 FT AMSL. The building will have a back-up generator. The system is a UHF Repeater, Tx 75 Watts, Rx .25uV for 20 dB quieting. Coverage extends North to Edwards AFB, East to Barstow, West to Lancaster, South, Small Portions of Los Angeles. 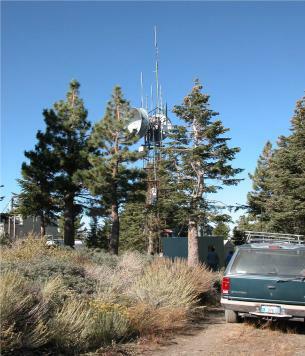 Site is duplex linked to Palos Verdes (Link 1), and, has no Remote Base transceiver. 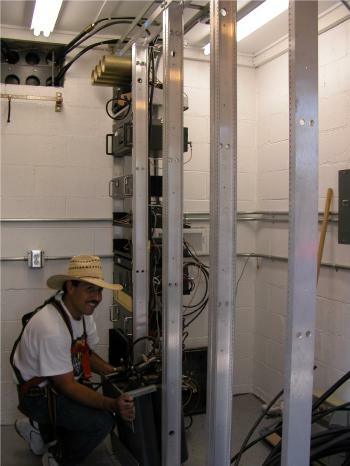 It is Mounted in an open rail rack and uses a WA6COT Control System. Views Outside BlueRidge and Within Blue Ridge Mtn. Rabbit radio site.